The Delhi Sultanate reached its peak in terms of geographical reach, during the Tughlaq dynasty, covering most of Indian subcontinent. The sultanate declined thereafter, with continuing Hindu-Muslim wars, and states such as Vijayanagara Empire asserting their independence as well as new Muslim sultanates such as Bengal Sultanate breaking off. The Delhi Sultanate caused destruction and desecration of politically important temples of enemy states as was the tradition in Pre-Islamic India, as well as led to the emergence of Indo-Islamic architecture. In 1526, it fell and was replaced by the Mughal Empire. By 962 AD, Hindu and Buddhist kingdoms in South Asia were under a wave of raids from Muslim armies from Central Asia. Among them was Mahmud of Ghazni, who raided and plundered kingdoms in north India from east of the Indus river to west of Yamuna river seventeen times between 997 and 1030. Mahmud of Ghazni raided the treasuries but retracted each time, only extending Islamic rule into western Punjab. The wave of raids on north Indian and western Indian kingdoms by Muslim warlords continued after Mahmud of Ghazni, plundering and looting these kingdoms. The raids did not establish or extend permanent boundaries of their Islamic kingdoms. The Ghurid Sultan Mu'izz al-Din Muhammad began a systematic war of expansion into north India in 1173. He sought to carve out a principality for himself by expanding the Islamic world. 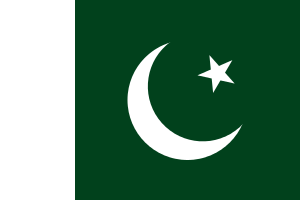 Mu’izz sought a Sunni Islamic kingdom of his own extending east of the Indus river, and he thus laid the foundation for the Muslim kingdom called the Delhi Sultanate. Some historians chronicle the Delhi Sultanate from 1192 due to the presence and geographical claims of Mu'izz al-Din in South Asia by that time. Mu'izz al-Din, whose reign began the Delhi Sultanate. Aibak was of Cuman-Kipchak origin, and due to his lineage, his dynasty is known as the Mamluk (slave) Dynasty (not to be confused with Mamluk dynasty of Iraq or Mamluk dynasty of Egypt). Aibak reigned as the Sultan of Delhi for four years. After Aibak died, Aram Shah assumed power in 1210, but he was assassinated in 1211 by Iltutmish, his son in law. 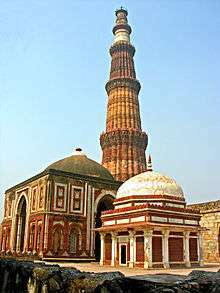 Iltutmish's power was precarious, and a number of Muslim amirs (nobles) challenged his authority. Some supported Qutbuddin aibak. After a series of conquests and brutal executions of opposition, he consolidated his power. His rule was challenged a number of times, such as by Qubacha, and this led to a series of wars. Iltumish conquered Multan and Bengal from contesting Muslim rulers, as well as Ranathambhore and Siwalik from the Hindu rulers. He also attacked, defeated, and executed Taj al-Din Yildiz, who asserted his rights as heir to Mu'izz al-Din Muhammad. Iltutmish's rule lasted till 1236. Following his death, the Delhi Sultanate saw a succession of weak rulers, disputing Muslim nobility, assassinations, and short-lived tenures. Power shifted from Rukn ud din Firuz to Razia Sultana and others, until Ghiyas ud din Balban came to power and ruled from 1266 to 1287. He was succeeded by 17-year-old Muiz ud din Qaiqabad, who ordered the poisoning of Nizam-ud-Din and appointed Jalal-ud-din Firoz Shah Khilji as the commander of the army. Khilji assassinated Muiz ud din Qaiqabad and assumed power, thus ending the Mamluk dynasty. The first ruler of Khalji dynasty was Jalal-ud-din Khalji. He came to power in 1290 after killing the last ruler of the Mamluk dynasty, Moiz ud din Qaiqabad, at the behest of Turkic, Afghan, and Persian amirs. Jalal-ud-din Firoz Shah Khalji was of Turkic origin, and ruled for 6 years before he was murdered in 1296 by his nephew Juna Khan, who was also his son-in-law. Juna Khan later came to be known as Ala al-din Khilji. Ala al-din Khalji changed tax policies, raising agriculture taxes from 20% to 50% (payable in grain and agricultural produce), eliminating payments and commissions on taxes collected by local chiefs, banned socialization among his officials as well as inter-marriage between noble families to help prevent any opposition forming against him, and he cut salaries of officials, poets, and scholars. These tax policies and spending controls strengthened his treasury to pay the keep of his growing army; he also introduced price controls on all agriculture produce and goods in the kingdom, as well as controls on where, how, and by whom these goods could be sold. Markets called shahana-i-mandi were created. Muslim merchants were granted exclusive permits and monopoly in these mandi to buy and resell at official prices. No one other than these merchants could buy from farmers or sell in cities. Those found violating these mandi rules were severely punished, such as by mutilation. Taxes collected in the form of grain were stored in kingdom's storage. During famines that followed, these granaries ensured sufficient food for the army. Ala al-din is also known for his cruelty against attacked kingdoms after wars. Historians note him as a tyrant and that anyone Ala al-din Khilji suspected of being a threat to this power was killed along with the women and children of that family. In 1298, between 15,000 and 30,000 people near Delhi, who had recently converted to Islam, were slaughtered in a single day, due to fears of an uprising. After Ala-ud-din's death in 1316, his army general Malik Kafur, who was born in a Hindu family in India and had converted to Islam, tried to assume power. He lacked the support of Persian and Turkic nobility. Malik Kafur was killed. The last Khilji ruler was Ala-ud-din's 18-year-old son Qutb-ud-din Mubarak Shah Khilji, who ruled for four years before he was killed by Khusro Khan. Khusro Khan's reign lasted only a few months, when Ghazi Malik, later to be called Ghiyas-ud-din Tughlaq, killed him and assumed power, in 1320, thus beginning the Tughluq dynasty of Delhi Sultanate. Delhi Sultanate from 1321-1330 AD under Tughluq dynasty. After 1330, various regions rebelled against the Sultanate and the kingdom shrank. The Tughlaq dynasty lasted from 1320 to nearly the end of 14th century. The first ruler Ghazi Malik rechristened himself as Ghiyas-ud-din Tughlaq and is also referred to in scholarly works as Tughlak Shah. He was of Turko-Indian origins, with a Turkic father and a Hindu mother. Ghiyasuddin Tughlaq ruled for five years and launched a town near Delhi named Tughlaqabad. According to some historians such as Vincent Smith, he was killed by his son Juna Khan, who then assumed power in 1325. Juna Khan rechristened himself as Muhammad bin Tughlaq and ruled for 26 years. During his rule, Delhi Sultanate reached its peak in terms of geographical reach, covering most of the Indian subcontinent. On another occasion, after becoming upset by some accounts, or to run the Sultanate from the center of India by other accounts, Muhammad bin Tughlaq ordered the transfer of his capital from Delhi to Deogir in Maharashtra (renaming it to Daulatabad), by forcing mass migration of Delhi's population. Those who refused were killed. One blind person who failed to move to Deogir was dragged for the entire journey of 40 days - the man died, his body fell apart, and only his tied leg reached Daulatabad. The capital move failed because Daulatabad was arid and did not have enough drinking water to support the new capital. The capital then returned to Delhi. Nevertheless, Muhammad bin Tughlaq's orders affected history as a large number of Delhi Muslims who came to the Deccan area did not return to Delhi to live near Muhammad bin Tughlaq. This influx of the then-Delhi residents into the Deccan region led to a growth of Muslim population in central and southern India. Muhammad bin Tughlaq's adventures in the Deccan region also marked campaigns of destruction and desecration of Hindu and Jain temples, for example the Svayambhu Shiva Temple and the Thousand Pillar Temple. Revolts against Muhammad bin Tughlaq began in 1327, continued over his reign, and over time the geographical reach of the Sultanate shrunk. The Vijayanagara Empire originated in southern India as a direct response to attacks from the Delhi Sultanate. The Vijayanagara Empire liberated south India from the Delhi Sultanate rule. In 1337, Muhammad bin Tughlaq ordered an attack on China, sending part of his forces over the Himalayas. Few survived the journey, and they were executed upon their return for failing. 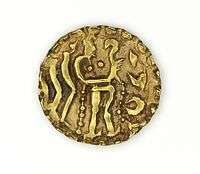 During his reign, state revenues collapsed from his policies such as the base metal coins from 1329-1332. To cover state expenses, he sharply raised taxes. Those who failed to pay taxes were hunted and executed. Famines, widespread poverty, and rebellion grew across the kingdom. In 1338 his own nephew rebelled in Malwa, whom he attacked, caught, and flayed alive. 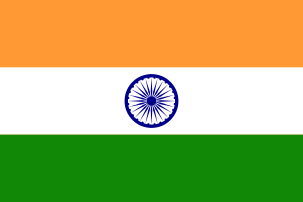 By 1339, the eastern regions under local Muslim governors and southern parts led by Hindu kings had revolted and declared independence from Delhi Sultanate. Muhammad bin Tughlaq did not have the resources or support to respond to the shrinking kingdom. 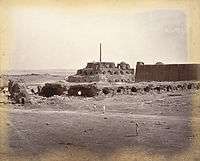 The historian Walford chronicled Delhi and most of India faced severe famines during Muhammad bin Tughlaq's rule in the years after the base metal coin experiment. By 1347, Bahmanid Sultanate had become an independent and competing Muslim kingdom in Deccan region of South Asia. The Tughlaq dynasty is remembered for its architectural patronage, particularly for ancient lats (pillars, left image), dated to be from the 3rd century BC, and of Buddhist and Hindu origins. The Sultanate initially wanted to use the pillars to make Mosque minarets. Firoz Shah decided otherwise and had them installed near Mosques. The meaning of Brahmi script on the pillar at right was unknown in Firoz Shah's time. The inscription was deciphered by James Prinsep in 1837; the pillar script of Emperor Ashoka asked people of his and future generations to seek a dharmic (virtuous) life, use persuasion in religion, grant freedom from religious persecution, stop all killing, and be compassionate to all living beings. Muhammad bin Tughlaq died in 1351 while trying to chase and punish people in Gujarat who were rebelling against Delhi Sultanate. He was succeeded by Firoz Shah Tughlaq (1351–1388), who tried to regain the old kingdom boundary by waging a war with Bengal for 11 months in 1359. 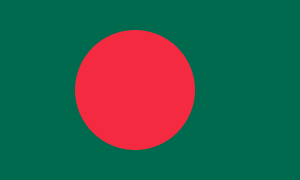 However, Bengal did not fall, and it remained outside of Delhi Sultanate. Firoz Shah Tughlaq ruled for 37 years. His reign attempted to stabilize food supply and reduce famines by commissioning an irrigation canal from the Yamuna river. An educated sultan, Firoz Shah left a memoir. In it he wrote that he banned the practice of torture in Delhi Sultanate, such as amputations, tearing out of eyes, sawing people alive, crushing people's bones as punishment, pouring molten lead into throats, setting people on fire, driving nails into hands and feet, among others. The Sunni Sultan also wrote that he did not tolerate attempts by Rafawiz Shia Muslim and Mahdi sects from proselytizing people into their faith, nor did he tolerate Hindus who tried to rebuild their temples after his armies had destroyed those temples. As punishment, wrote the Sultan, he put many Shias, Mahdi, and Hindus to death (siyasat). Firoz Shah Tughlaq also lists his accomplishments to include converting Hindus to Sunni Islam by announcing an exemption from taxes and jizya for those who convert, and by lavishing new converts with presents and honours. Simultaneously, he raised taxes and jizya, assessing it at three levels, and stopping the practice of his predecessors who had historically exempted all Hindu Brahmins from jizya tax. He also vastly expanded the number of slaves in his service and those of amirs (Muslim nobles). The reign of Firoz Shah Tughlaq was marked by reduction in extreme forms of torture, eliminating favours to select parts of society, but also increased intolerance and persecution of targeted groups. The death of Firoz Shah Tughlaq created anarchy and disintegration of the kingdom. The last rulers of this dynasty both called themselves Sultan from 1394 to 1397: Mahmud Tughlaq, the grandson of Firoz Shah Tughlaq who ruled from Delhi, and Nusrat Shah, another relative of Firoz Shah Tughlaq who ruled from Firozabad, which was a few miles from Delhi. The battle between the two relatives continued till the invasion by Timur in 1398. Timur, also known as Tamerlane in Western scholarly literature, was the Turkic Islamic king of Samarkhand. He became aware of the weakness and quarreling of the Sultans in Delhi, so he marched with his army to Delhi, plundering and killing all the way. Estimates for the massacre by Timur range from 100,000 to 200,000 people during his campaign. Timur had no intention of staying in or ruling India. He looted the lands he crossed, then plundered and burnt Delhi. Over five days, Timur and his Mongol army raged a massacre. Then he collected and carried the wealth, captured women and slaves (particularly skilled artisans), and returned to Samarkhand. The people and lands within Delhi Sultanate were left in a state of anarchy, chaos, and pestilence. Sultan Mahmud Tughlak, who had fled to Gujarat during Timur’s invasion, returned and nominally ruled as the last ruler of Tughlak dynasty, as a puppet of various factions at the court. The Sayyid dynasty was a Turkic dynasty that ruled the Delhi Sultanate from 1415 to 1451. The Timur invasion and plunder had left the Delhi Sultanate in shambles, and little is known about the rule by the Sayyid dynasty. According to historian William Hunter, the Delhi Sultanate had effective control of only a few miles around Delhi. Schimmel notes the first ruler of the dynasty as Sayyid Khizr Khan, who assumed power by claiming to represent Timur. His authority was questioned even by those near Delhi. His successor was Mubarak Khan, who rechristened himself as Mubarak Shah and tried to regain lost territories in Punjab, unsuccessfully. With the power of the Sayyid dynasty faltering, Islam’s history on the Indian subcontinent underwent a profound change, according to Schimmel. The previously dominant Sunni sect of Islam became diluted, alternate Muslim sects such as Shia rose, and new competing centers of Islamic culture took roots beyond Delhi. After Bahlol Lodi died, his son Nizam Khan assumed power, rechristened himself as Sikandar Shah Ghazi Lodi and ruled from 1489-1517. One of the better known rulers of this dynasty, Sikandar Lodi expelled his brother Barbak Shah from Jaunpur, installed his son Jalal Khan as the ruler, then proceeded east to make claims on Bihar. The Muslim amir (noble) governors of Bihar agreed to pay tribute and taxes, but operated independent of Delhi Sultanate. Sikandar Lodi led a campaign of destruction of temples, particularly around Mathura. He also moved his capital and court from Delhi to Agra, an ancient Hindu city that had been destroyed during the plunder and attacks of the early Delhi Sultanate period. Sikandar thus erected buildings with Indo-Islamic architecture in Agra during his rule, and the growth of Agra continued during the Mughal Empire, after the end of Delhi Sultanate. Sikandar Lodi died a natural death in 1517, and his second son Ibrahim Lodi assumed power. 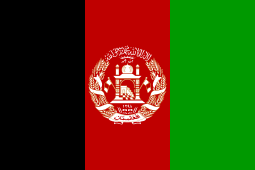 Ibrahim did not enjoy the support of Afghan and Persian amirs or regional chiefs. Ibrahim attacked and killed his elder brother Jalal Khan, who was installed as the governor of Jaunpur by his father and had the support of the amirs and chiefs. Ibrahim Lodi was unable to consolidate his power. After Jalal Khan's death, the governor of Punjab - Dawlat Khan Lodī - reached out to the Mughal Babur and invited him to attack Delhi Sultanate. Babur defeated and killed Ibrahim Lodi in the Battle of Panipat in 1526. The death of Ibrahim Lodi ended the Delhi Sultanate, and the Mughal Empire replaced it. The Delhi Sultanate was an era of temple destruction and desecration. Richard Eaton has tabulated a campaign of destruction of idols and temples by Sultans, intermixed with instances of years where the temples were protected from desecration. In many cases, the demolished remains, rocks and broken statue pieces were reused to build mosques and other buildings. For example, the Qutb complex in Delhi was built from stones of 27 demolished Hindu and Jain temples by some accounts, and additionally included parts from Buddhist temples by other accounts. Similarly, the Muslim mosque in Khanapur, Maharashtra was built from the looted parts and demolished remains of Hindu temples. 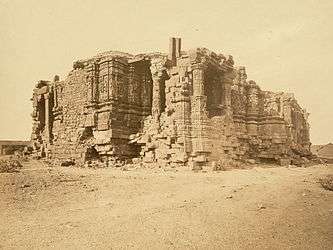 Muhammad bin Bakhtiyar Khilji destroyed Buddhist and Hindu libraries and their manuscripts at Nalanda and Odantapuri Universities at the beginning of Delhi Sultanate. The first historical record of a campaign of destruction of temples and defacement of faces or heads of Hindu idols lasted from 1193 through early 13th century in Rajasthan, Punjab, Haryana and Uttar Pradesh under the command of Ghuri. Under Khalaji, the campaign of temple desecration expanded to Bihar, Madhya Pradesh, Gujarat and Maharashtra, and continued through late 13th century. The campaign extended to Telangana, Andhra Pradesh, Karnataka and Tamil Nadu under Malik Kafur and Ulugh Khan in 14th century, and by Bahmani in 15th century. Orissa temples were destroyed in the 14th century under Tughlaq. Beyond destruction and desecration, the Sultans of Delhi Sultanate in some cases had forbidden reconstruction of damaged Hindu, Jain and Buddhist temples, and they prohibited repairs of old temples or construction of any new temples. In certain cases, the Sultanate would grant a permit for repairs and construction of temples if the patron or religious community paid jizya (fee, tax). For example, a proposal by the Chinese to repair Himalayan Buddhist temples destroyed by the Sultanate army was refused, on the grounds that such temple repairs were only allowed if the Chinese agreed to pay jizya tax to the treasury of the Sultanate. In his memoirs, Firoz Shah Tughlaq describes how he destroyed temples and built mosques instead and killed those who dared build new temples. Other historical records from wazirs, amirs and the court historians of various Sultans of the Delhi Sultanate describe the grandeur of idols and temples they witnessed in their campaigns and how these were destroyed and desecrated. ↑ "Qutub Minar". Retrieved 5 August 2015. ↑ Welch and Crane note that the Quwwat-ul-Islam Mosque was built with the remains of demolished Hindu and Jain temples; See: Welch, Anthony; Crane, Howard (1983). "The Tughluqs: Master Builders of the Delhi Sultanate" (PDF). Muqarnas. Brill. 1: 123–166. JSTOR 1523075. 1 2 3 Welch, Anthony; Crane, Howard (1983). "The Tughluqs: Master Builders of the Delhi Sultanate" (PDF). Muqarnas. Brill. 1: 123–166. JSTOR 1523075. ↑ McKibben, William Jeffrey (1994). "The Monumental Pillars of Fīrūz Shāh Tughluq". Ars Orientalis. 24: 105–118. JSTOR 4629462.